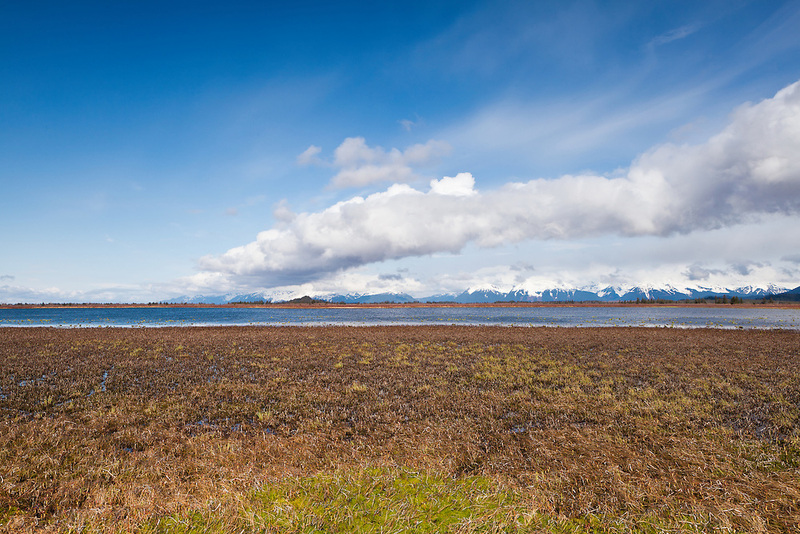 Wetlands near Alaganik Slough and the Chugach National Forest and Chugach Mountains make up the Copper River Delta near Cordova in Southcentral Alaska. Spring. Morning.